In previous post, we have already seen how to use custom login page in Spring security. We have declared username and password in spring-security.xml but what if you want to read it from database. In most of the cases, we will read credentials from database. 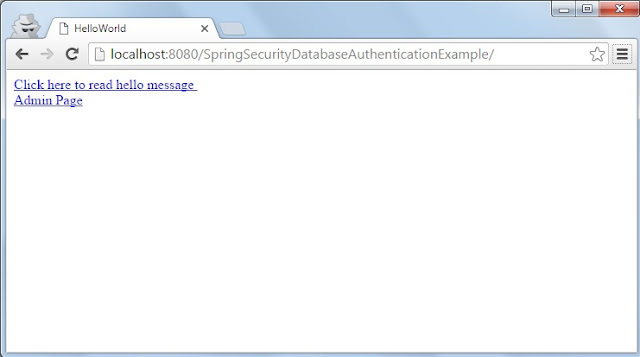 In this post, we will do authentication using database. 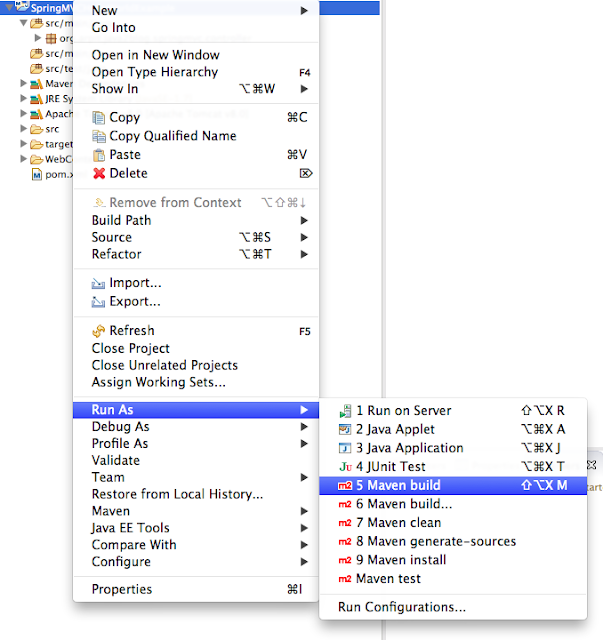 We will use MySQL and hibernate for database authentication. If you want to secure your spring web application , you just need to configure some files to make it happen using spring security. 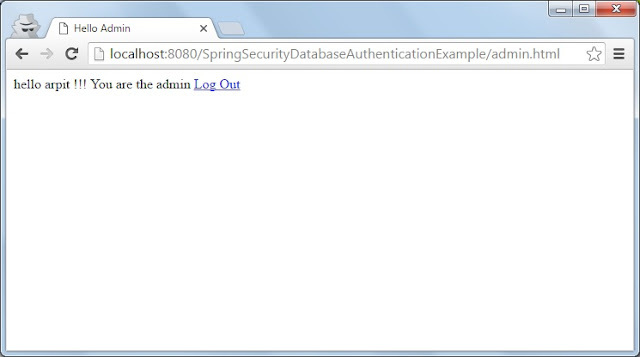 We will apply login security on hello world example, so when only authorised users will be able to access admin page. Before going ahead, lets first configure database table in mysql which we will use for authentications. Create Spring mvc hello world example named SpringSecurityDatabaseAuthenticationExample. It will create basic spring mvc application. 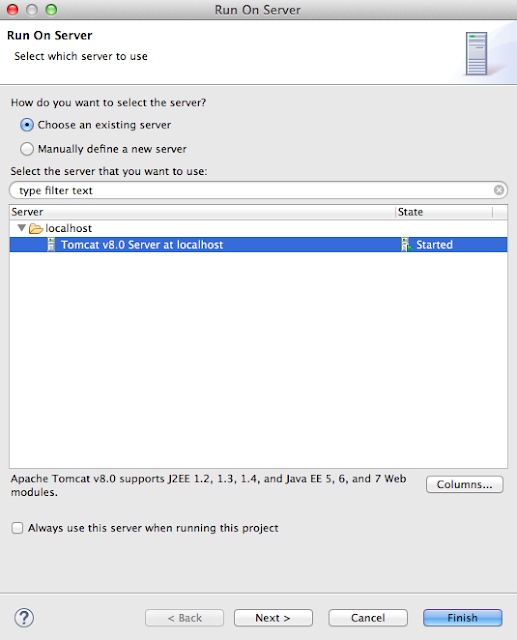 Add spring security, hibernate and mysql connector to pom.xml. You need to add following dependencies to the pom. 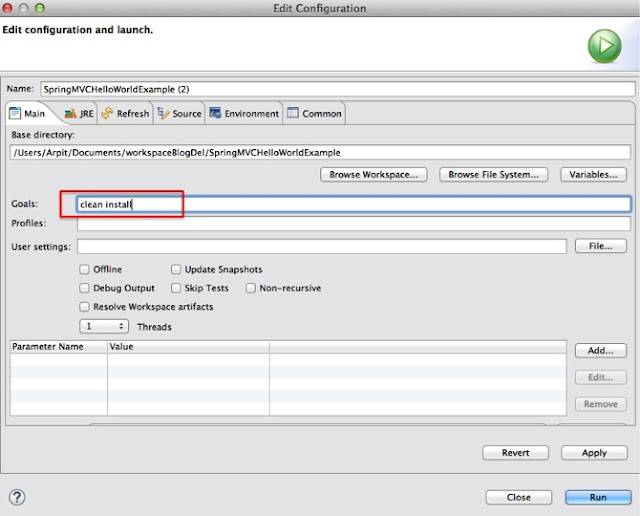 Create admin.jsp in /WEB-INF/pages folder. Step 7:Create 403.jsp in /WEB-INF/pages folder. users-by-username-query="select username, password, active from users where username=?" 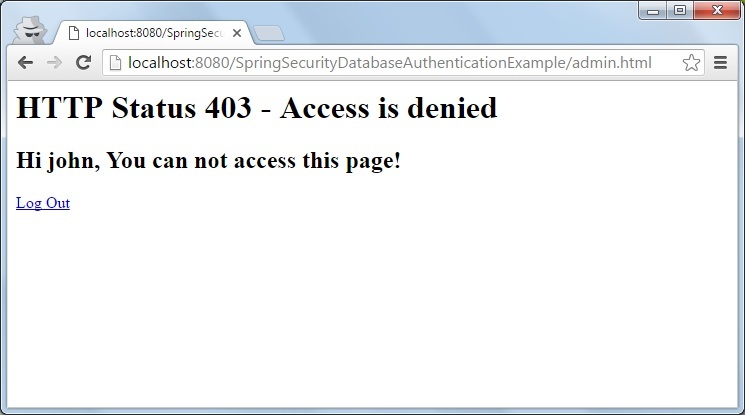 access-denied-handler : If user don’t have access to the page, /403 url will be called. We have provided queries for users-by-username-query and authorities-by-username-query to set up credentials for roles. 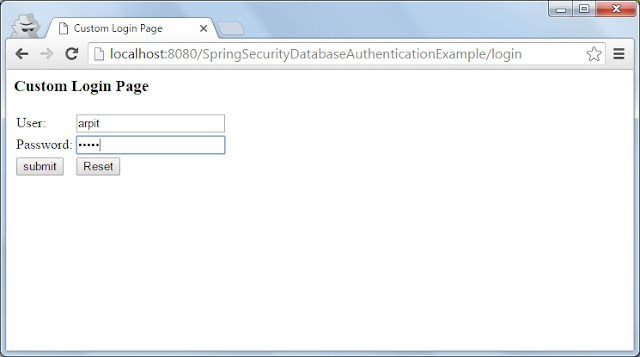 Step 10: We need to change in web.xml to configure spring security. When you click on admin page link, you will get following login page. Now put User as arpit and password also as arpit. We have put correct username and password , so we will see below screen. If you use user john to access admin page, you will get below screens. As john don’t have access to admin page, so you will get below screen. Hi Arpit . Thank you for the post its very helpful.